Priyanka Chopra has accomplished a lot from winning the Miss World title in 2000 to acting in more than 50 Bollywood movies, releasing international singles, scoring the lead role in American tv series Quantico and also getting a role in the next Baywatch film. Now, as Time magazine has revealed 2016 world's most influential people, India's Priyanka Chopra is one of the 100.
" What a way to start the day! 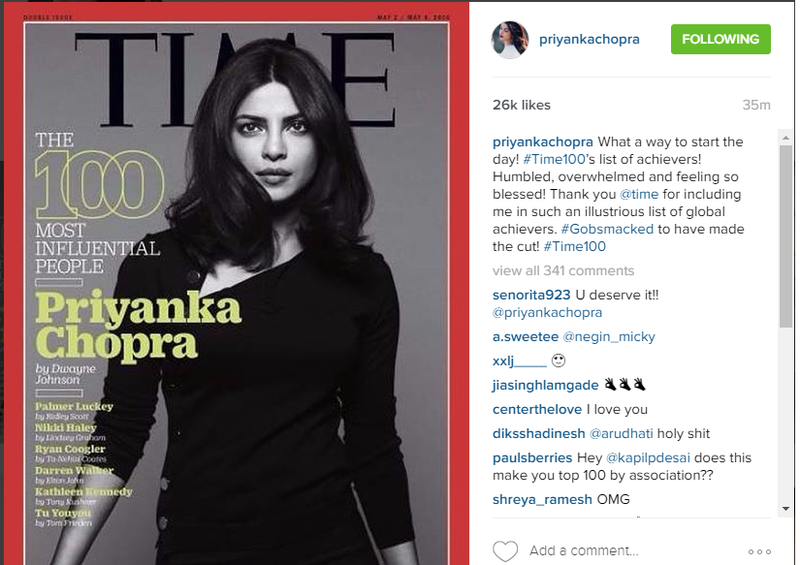 #Time100’s list of achievers! Humbled, overwhelmed and feeling so blessed! Thank you @time for including me in such an illustrious list of global achievers. #Gobsmacked to have made the cut! #Time100"
Way to go girl. You have been making India and the whole world so proud of you.